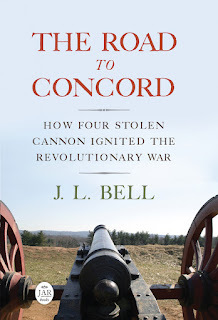 Boston 1775: Was Marshfield a Tory Town? And indeed Marshfield had many more Loyalists than neighboring towns. Or at least the creation of its Association meant it had more visible, undeniable Loyalists. Men who would have remained quiet in other communities put their names on papers supporting the Crown in Marshfield. But there was also a vocal minority against those troops, so I’d say it wasn’t so much a Tory town as a politically split town. And that was notable in itself. New England communities liked consensus. Men were supposed to debate and consider measures thoroughly, but when it came time to vote one side was supposed to win decisively—not just by a “trifling” margin. Town clerks tended not to even record vote counts, and they took other steps to play down disagreements in the public record. During the tea crisis of late 1773, Nehemiah Thomas led the town elders in confiscating tea before it could cause trouble. A couple of days after the Boston Tea Party, more radical Whigs demanded that tea—some sources say took it from Thomas’s house while he was away—and publicly burned it. 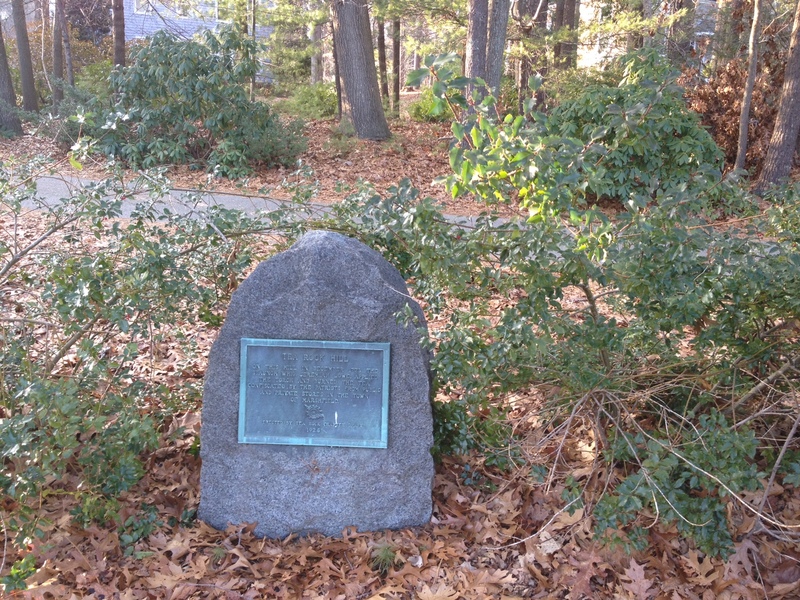 The site of that burning is now Tea Rock Hill, shown above. So there was definitely a strong anti-tea faction in town. …they say that the measures and proceedings in the town of Boston in the detention & destruction of the teas, belonging to the East India Co. are illegal, unjust & of a dangerous tendency, against which we take the liberty to protest. . . . The occasion of this our protest has given us great uneasiness & we are confident those extraordinary resolves would not have taken place but by the insinuations of a certain gentleman who seems willing his constituents should share in the resentment of the whole country, which he has incurred by his conduct in a public character. We mean not to countenance riotous and disorderly conduct, but, being convinced that liberty is the life and happiness of a community, we are determined to contribute to our last mite in its defence against the machinations of assuming, arbitrary men, who, stimulated with a lust of dominion & unrighteous gain are ever studying to subjugate this free people. Marshfield’s political arguments were already spilling out into the Boston newspapers before any British troops arrived. TOMORROW: The political seesaw of late 1774.